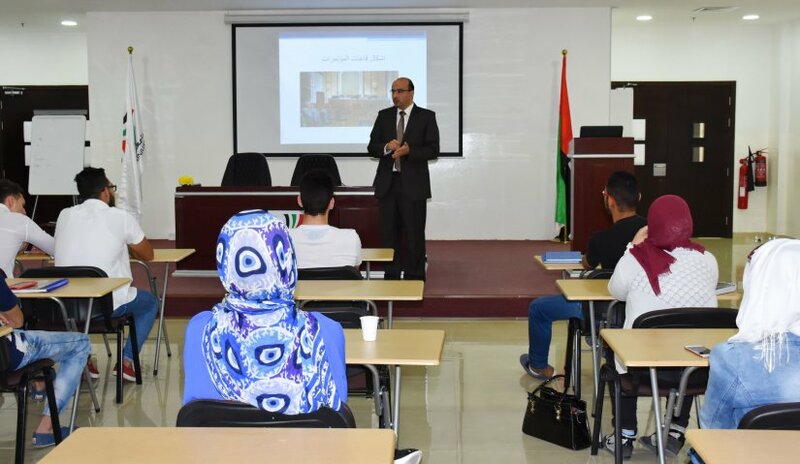 The College of Business Administration at Al Falah University organized a workshop entitled "Organizing Conferences" conducted by Dr. Ashraf Jahmani, Assistant Professor. During the workshop, participants were introduced to the different methods in the preparation and planning of conferences, identifying the types of committees to be established for the conferences in example, Organizational and Technical Committee and the roles these committees will accomplish. Near the end, members for the Conferences Organizing Committee were selected. Student participants will organize a number of workshops in the coming period.